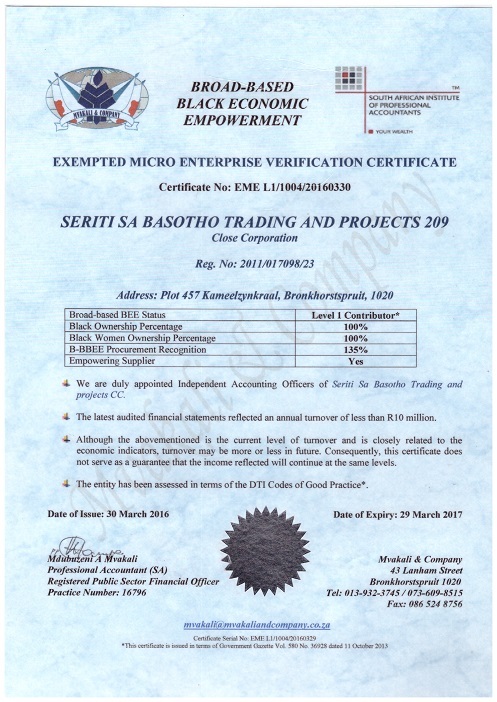 Seriti Sa Basotho Trading And Projects 209 is a 100% black and female-owned community-based company established in 2011 by Ms. Zinhle Mthimunye. 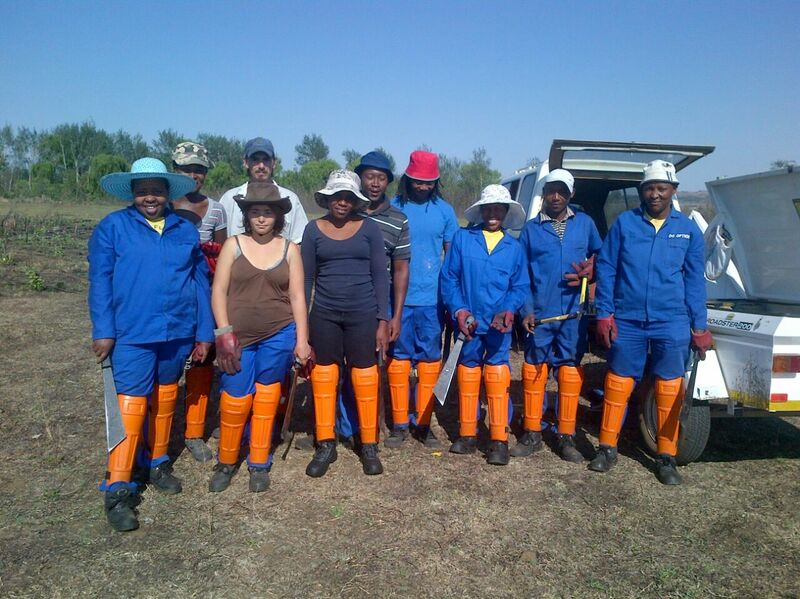 The company contributes to the development of the community of Kameelzynkraal outside Bronkhorstspruit through social upliftment and environmental awareness programmes that it runs from time to time. We are contributing to the mainstream economy immensely by preserving water while creating job opportunities for the community. 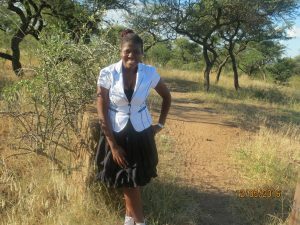 Zinhle is a result-driven woman with passion for environmental conservation, making Seriti Sa Basotho Trading And Projects 209 a force to reckon with in the environmental management industry. The company has won tenders in the Department of Environmental Affairs consistently since 2011. Her qualifications include basic Business Management and extensive skills in invasive Alien Plant Control and Maintenance including, first Aid and Herbicde Aplicator. She is full time working for the company.